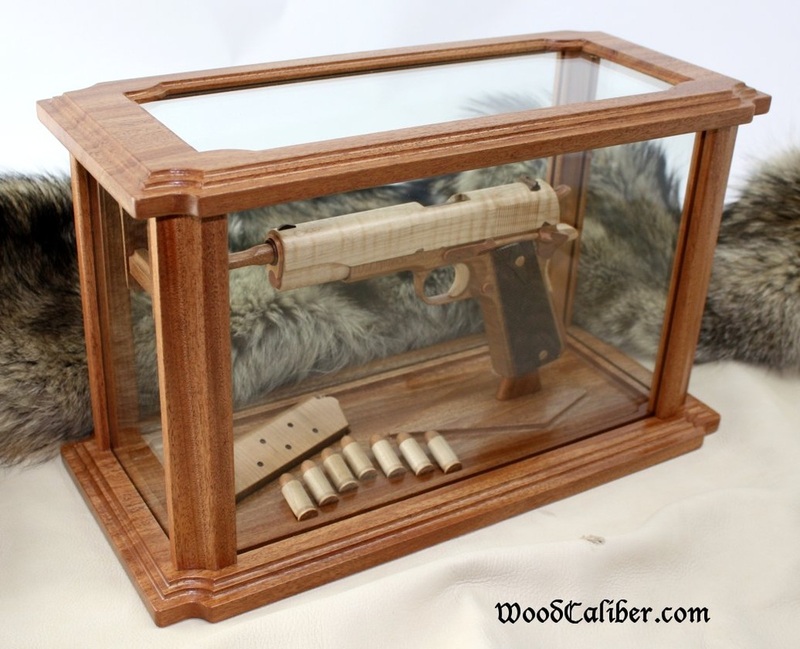 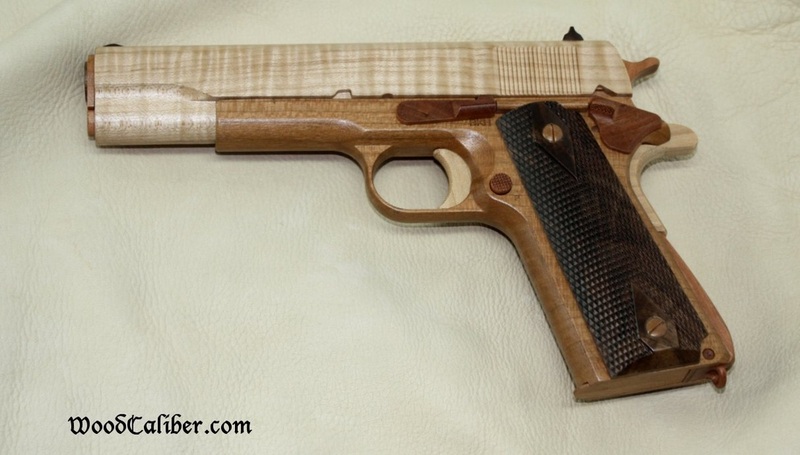 -This display gun is crafted from figured cuts of Black Cherry, Black Walnut & Hard Maple. 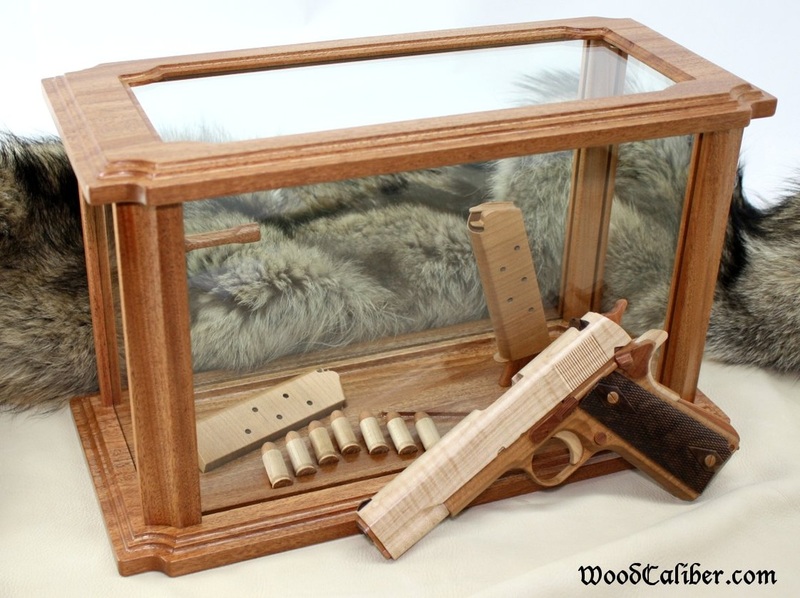 The display case is of ribbon cut African Mahogany. 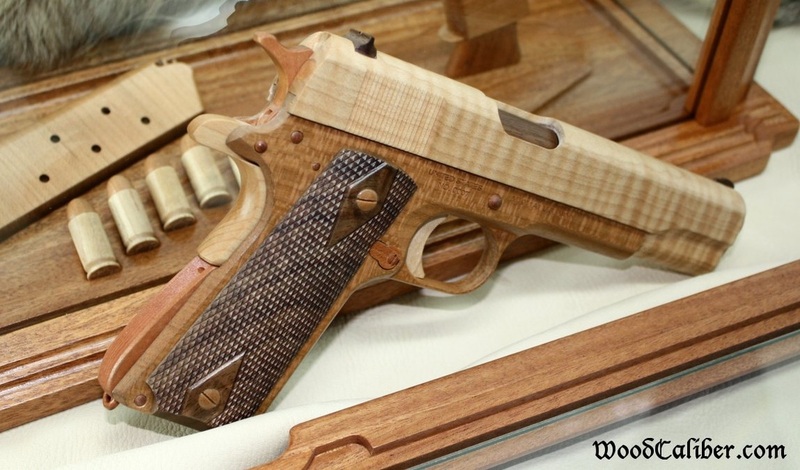 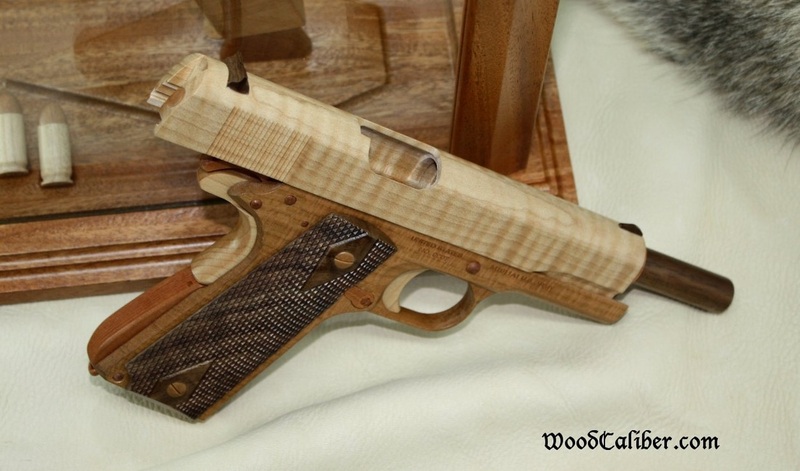 -Other than an internal barrel plug required by law for replicas, there is no staining, coloring, tinting or painting applied to any of the wood in our displays. 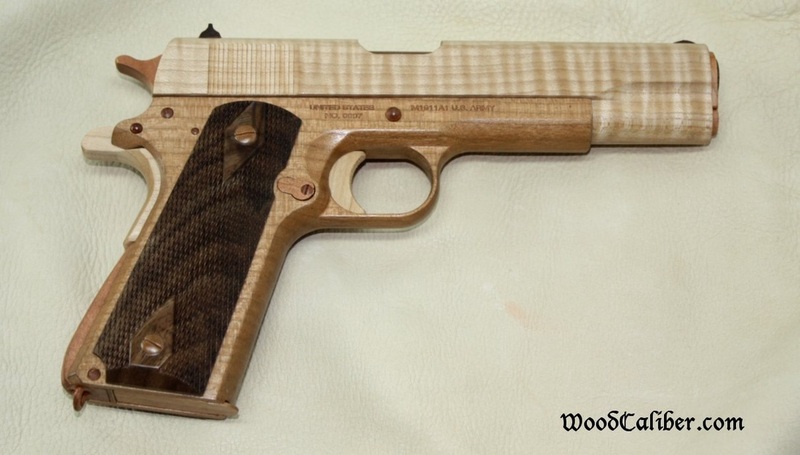 The wood is its natural color.